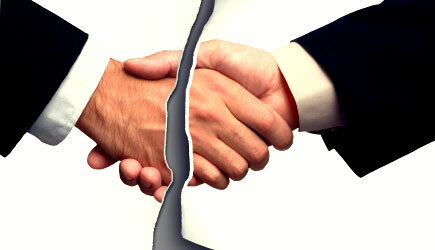 Dealing with a difficult person, especially in negotiation or mediation, is inevitable. One type of difficult person is someone who gives off a pessimistic vibe and also portrays themselves as a whiner. Pessimistic vibes emanate from people who have a “tunnel vision” point-of-view; they are not able to see eye-to-eye with someone else who has a different viewpoint. It is particularly challenging to respond positively to these kinds of characteristics and attitudes, but it is necessary to get positive results. Use Active Listening. As irrational as someone’s argument may be in a negotiation or mediation, it is always important to listen. It may be hard to actively listen to someone’s argument when you don’t agree with it, but if you don’t, chances are that they will argue more forcefully and aggressively. The best thing you can do in this situation is give the difficult person your full, undivided attention, just as you would for a good friend. Limit the Person’s Venting. There is a fine line between venting and just being negative. As we know, negotiations and mediations can be emotional; however, it is important to not focus all of your attention on the emotional aspects, but also, the factual aspects. A good tool for making sure someone doesn’t cross the line from venting into the Debbie Downer or Negative Neil zone is by using the 5-minute rule. Use the 5-minute rule to let someone vent about the emotional aspects of a matter, but after that, it is safe to assume that they are entering the downer zone. It is important to stop them after those 5 minutes and bring them back to the facts of the matter. You can also stop them by diverting their attention to another matter. Turn the Person’s Extremes into Facts. Negative Neils or whiners often tend to use terms such as “always” or “never”. It is important, as a negotiator or mediator, to turn those extreme statements into facts. For example, someone may say that they never see their case settling at mediation. Sometimes, you might have to be even more extreme than the whiner and agree with them, and by doing so, this will make them less extreme. To the surprise of that difficult person, their case, more times than not, will settle as long as the mediator can give them a positive outlook on being reasonable and realistic with the outcome. Suggest a Solution to Their Problem. Whiners often feel powerless, which is why they tend to be so negative. Therefore, why not offer them a solution to their problem? The solution you offer may not be a solution that they are willing to compromise with, but it is the most help you can offer that person in that situation. It can also start the conversation down to more positive framework.